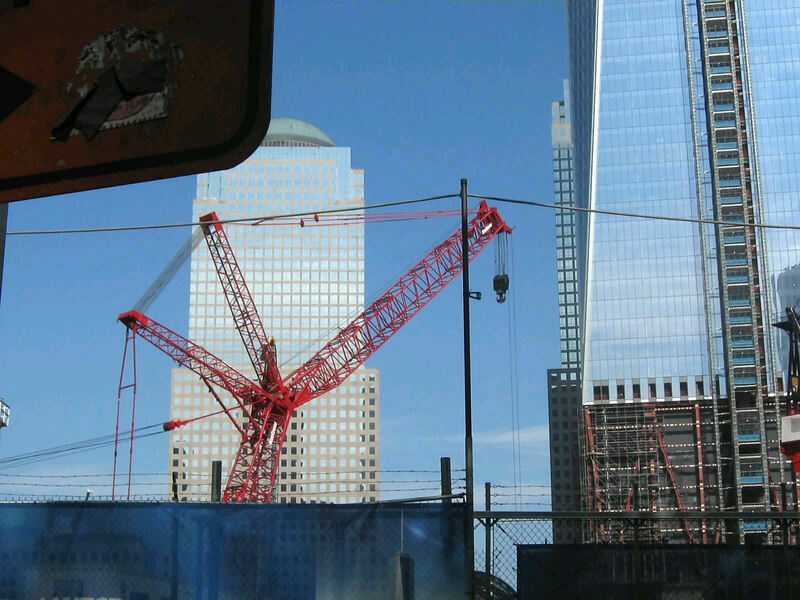 Our 2011 Road Trip #12: Freedom Under Reconstruction « Midlife Crisis Crossover! 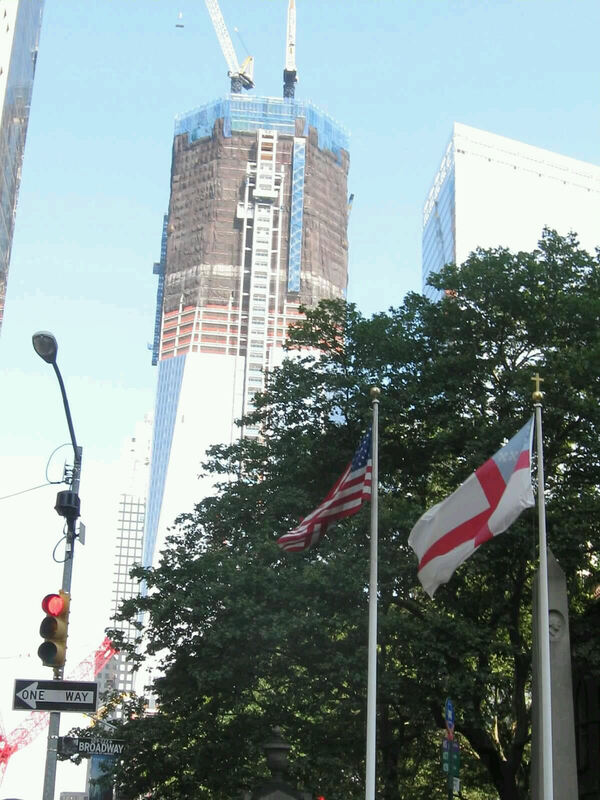 One World Trade Center as of July 2011. Reboot in progress. The E train took us south from the Port Authority to the world-famous World Trade Center complex, a week after Independence Day and ten years after 9/11. Someday the area will be usable and photogenic again. At this point, unless your idea of photogenic is lifesize Tonka Truck construction playsets, no such luck. But it’s interesting to dream what’ll be made of the place. 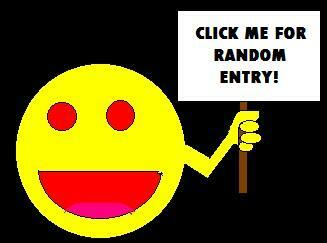 …which is just as well. Even after the walls are down, eyes will be drawn up in the sky. Multiple projects all going at once. Numerous older buildings surround the complex, still standing and looking on. 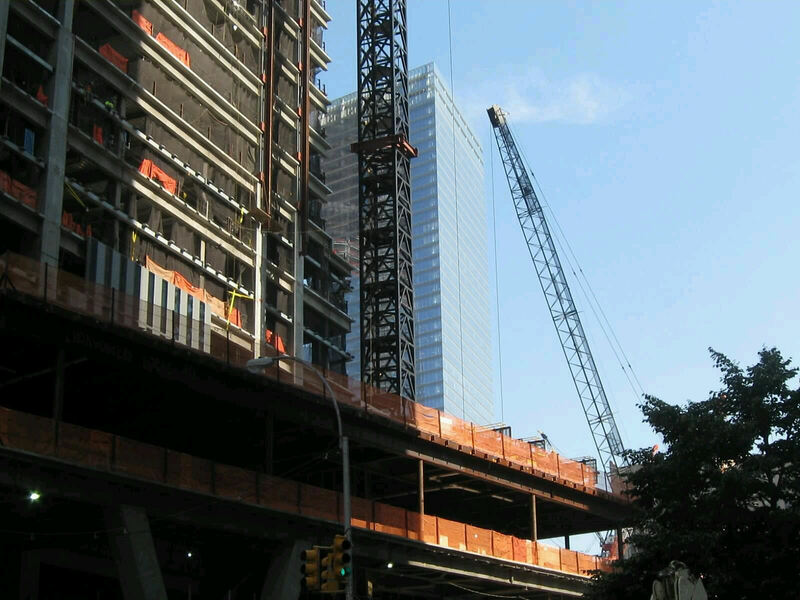 After our tour of the Trinity Church cemetery, we moved next to the World Trade Center Visitors Center, inhabiting a storefront across the street from the official construction site. The line was already out the door by the time we arrived shortly after they opened. Inside was cramped, crowded, and silent with some combination of sorrow and reverence. 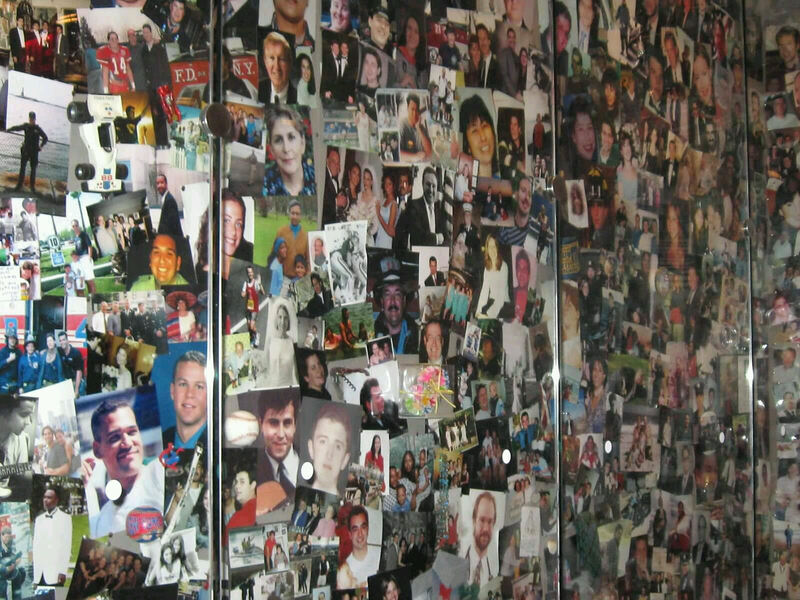 Wall of memories of those missing and missed. 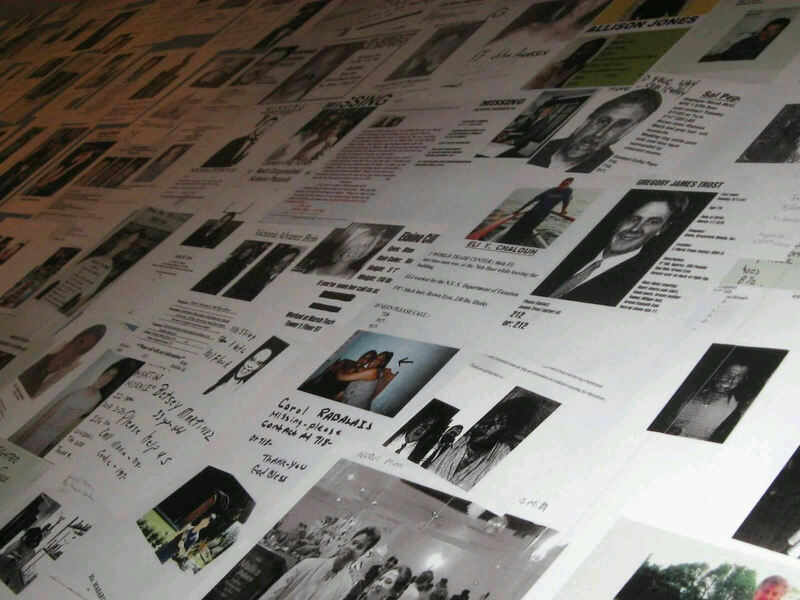 Another wall of later tributes, bereft of hopeful “Have you seen…” tags. 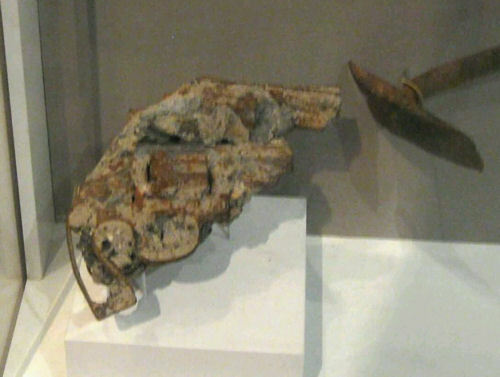 Also on display are various items obtained from the World Trade Center wreckage, including these .38 revolvers encased in melted concrete. 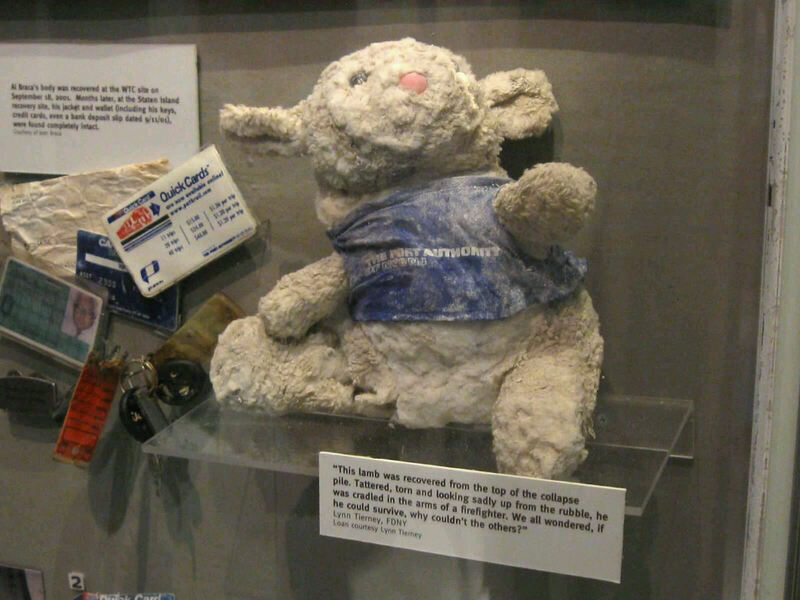 A lost Port Authority Lambchop survived the fall of the Towers, albeit not unscathed. 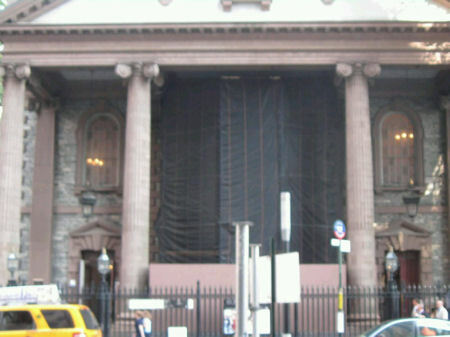 Also in the area was St. Paul’s Chapel, best known as the church where George Washington once worshiped on the day of his inauguration, and for the years when NYC was the capital of a young America. 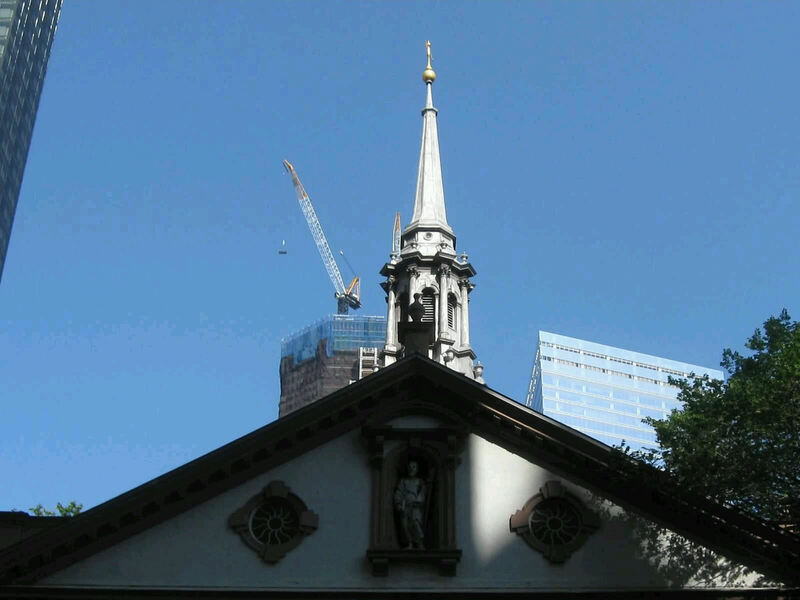 It’s part of the same parish as Trinity Church, but was under construction like the other rising skyscrapers-to-be. Another important location, another promise of Coming Soon. Though the interior and immediate property were closed off, St. Paul’s steeple still stood strong, nearly ten years after 9/11. On that terrifying day and for a good long while thereafter, it became a base camp for rescue teams and a sanctuary for comers of all walks and wounds. 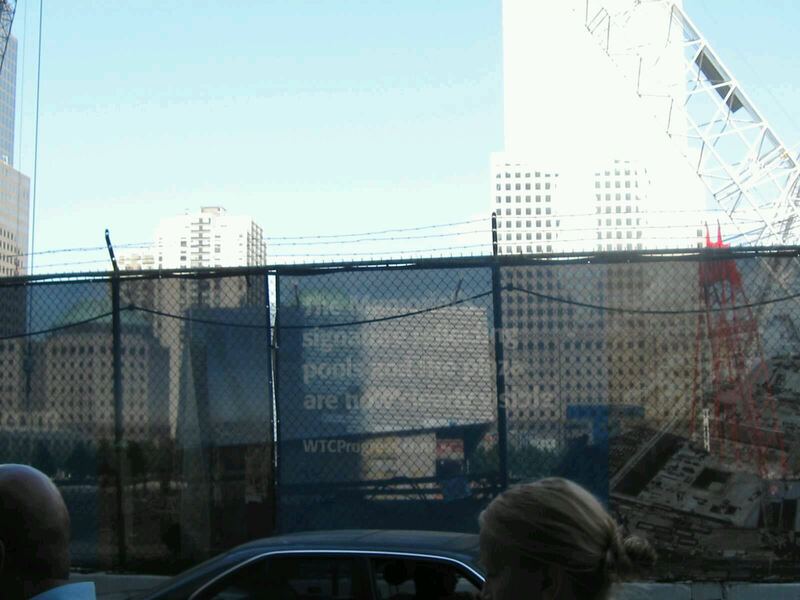 Behind St. Paul’s, work continued on the new “Freedom Tower”, preparing to reach toward the heavens someday soon. 1. 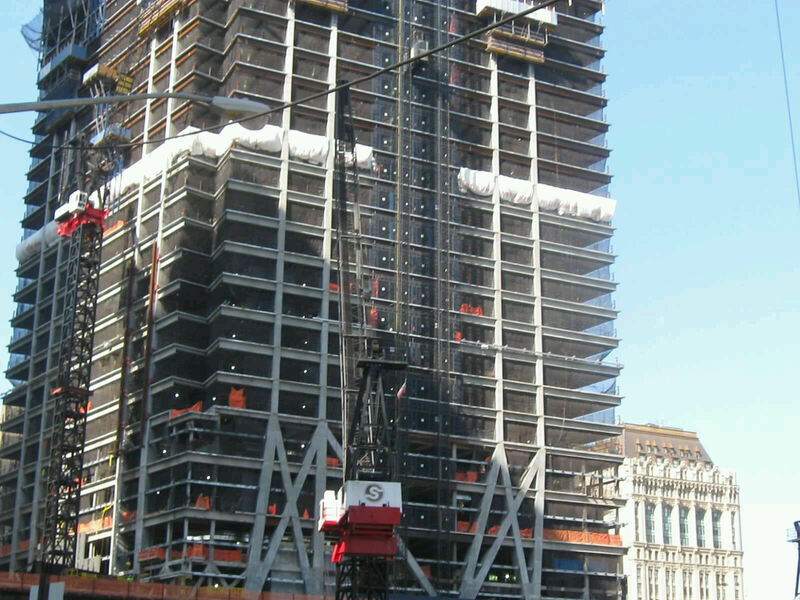 One World Trade Center, a.k.a. 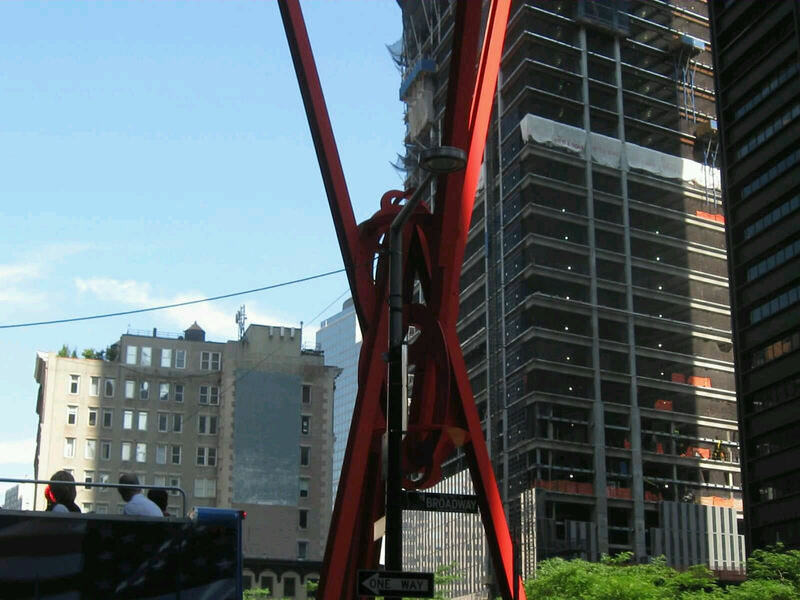 the “Freedom Tower”, saw its first new tenants move in for business in November 2014. Visitors without acrophobia can check out the One World Observatory, which occupies the 100th to 102nd floors and provides what I imagine to be a vertiginous view to all horizons.